On what it's like to launch a digital video studio and changing the media narrative on women of color. The forward-thinking instinct has been with Leigh Davenport, Interactive One’s vp of programming, women and lifestyle, and HB Studios, since at least her college days. “I had interned at magazines and really that was the dream, to be a magazine editor,” she told FishbowlNY. But when it was time for Davenport to graduate, the scene had changed. “Magazines were folding left and right, and I thought to myself this might not be a great way to a future, so perhaps I should look at other mediums of storytelling.” That search for alternate forms of storytelling led her initially to television, where she worked her way to VH1 and BET. By 2009, the TV world’s increasing focus on reality programming, a form Davenport didn’t enjoy, would lead to a switch to digital programming. 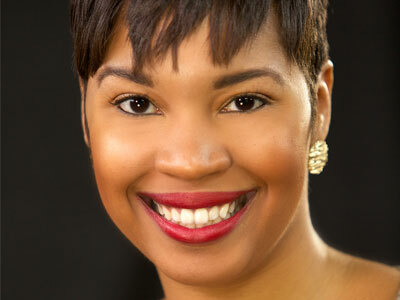 For the past four years, Davenport has overseen editorial content and strategy for the women-of-color-focused HelloBeautiful.com, as the site reported year-over-year audience gains. Davenport also harnessed her television roots as she oversaw the creation of HB Studios, Interactive One’s digital video production studio targeted to women of color. We talked with Davenport about the initial reception to HB Studios, narrative depictions of black women in media and the downside of making work-life balance a primary goal. FBNY: Between your duties as editorial director and working on the launch of HB Studios, you have a lot on your plate. How do you prioritize while trying to maintain balance between your work and personal life? Davenport: I think women, thanks to all of the ‘lean in’ conversations, have gotten really captivated by this work-life balance thing, and I don’t know that that’s even real. You spend the majority of your time at work, so it’s not balanced to start. But if you love what you’re doing, then work can sometimes feel less like work. You should have a healthy balance of work and self-care and play, but sometimes working is my play. The reality is I don’t have a balanced life right now, but I’m having a really fun time. And in terms of prioritization, I make a list every morning of the must-dos and then I put the if-I-can-dos underneath. You can’t do everything in a day, but you prioritize things that are going to be most impactful. FBNY: Looking at HelloBeautiful.com, you see a mix of news, beauty, celebrity and career content. What is behind the decision for all these different types of content to live in the same space? Davenport: When I first got to the site, [it] was almost exclusively entertainment with a little bit of beauty. That was our bread and butter. Looking at the landscape, I thought, OK, well, there are a million entertainment blogs, and even the news blogs talk about entertainment at this point. So what do we have to offer? What’s our value proposition to our audience? And so we systematically started adding on content areas. We wanted to embrace the fact that women are very versatile and dynamic. Part of our mission statement is we serve our audience shamelessly. We don’t feel like one thing is more important than the other — your passion for beauty or passion for your job, the fact that you want to be current on news and events, and that you watch The Real Housewives. That’s why we made a conscious decision to make sure we have those things live in the same environment.